Asked by Anonymous on August 1st, 2016. Hi, this footswitch is 15 feet in length. It should work but we can not guarantee that the LED will work. The LED gets it's power from the amp. 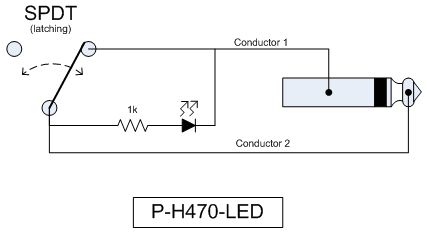 If you do not need an LED search for part # P-H470. 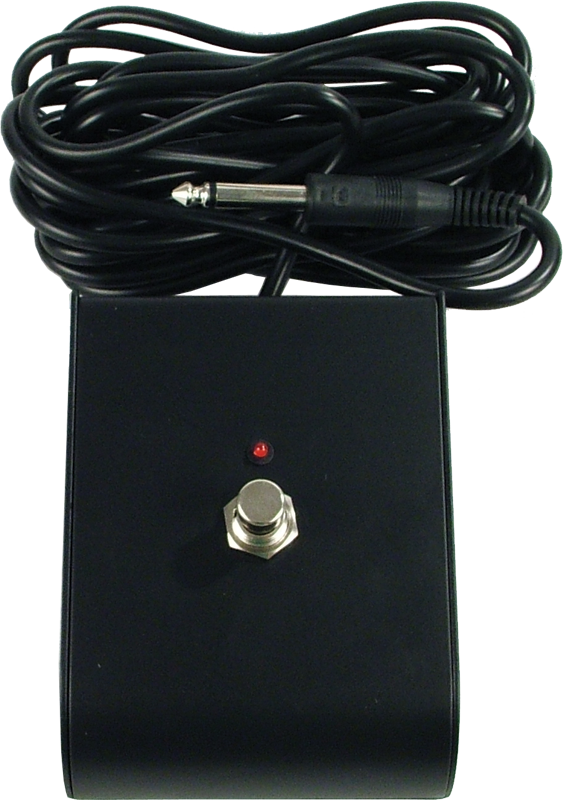 This footswitch is designed to be used with a 1/4" input and would not be compatible with an amp using RCA jacks. It will work in any situation where a latching SPDT is needed. You may need to confirm with Marshall if this will work with your amp. It should switch the reverb but the LED will most likely not work. We have not tested this with the Runt and do not know if it will work. We do offer a 10 day return policy if you want to see if it will work. Asked by Anonymous on November 29th, 2018. This footswitch requires power from the amp, so this footswitch (especially the LED) will most likely not function with that amp. Asked by Gferreira@cbsisandiego.com on January 26th, 2019. This is the generic version of the Marshall PED801. If you can verify (from Marshall) that the PED801 will work for your amp, this should work as well.